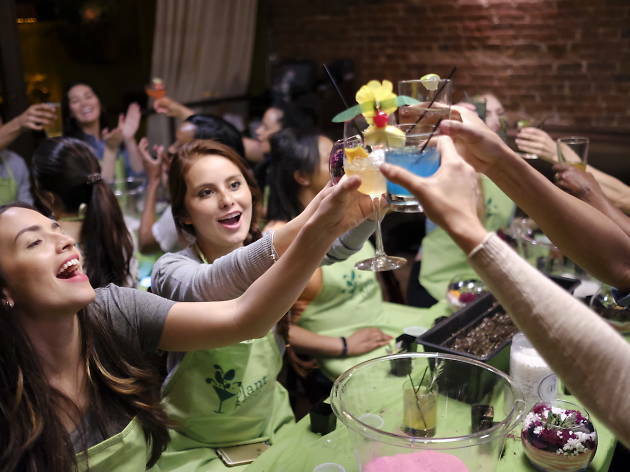 This event concept appeals to both the green-thumb and pinkies-up crowds by inviting folks to local bars to sip adult beverages while creating their own terrarium. For $55, attendees show up to find a bounty of materials that they can use to build their masterpiece, including succulents, pebbles and kooky toys like dinosaurs and golden unicorns. When the class is over you’ll stumble home with a new trinket to decoarte your home with. Heads up: Your ticket price doesn’t include drinks, so be sure to bring libation money.